ProjectorSquare.com is a leading international supplier of low cost projectors. 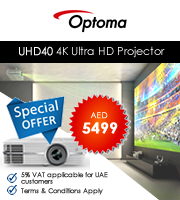 We offer the best projector prices. Guaranteed. At any time we have in stock thousands of projectors of all leading brands. If you are looking to buy a projector that is not listed here, please drop us a line us using the contact us page and we will get back to you with “awesome pricing”. Buy projectors online at the most reasonable prices. 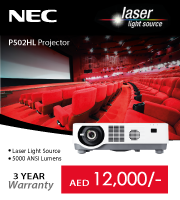 We at Projector Square, provide you with the best quality projectors in UAE only from top brands of manufacturers like Epson, Sony, Casio, and LG. We always keep our customers’ needs in mind which is why we have a plethora of choices to buy from a collection of low-cost projectors which are absolutely efficient in their work. Projectors bought online from Projector Square will be delivered to your doorstep; and we ship projectors not only in UAE and its important cities like Dubai and Abu Dhabi but also worldwide. We have teamed up with the best manufacturers, suppliers, and dealers in the business which is the reason behind such reasonable pricing of our products. Drop us an email on info@projectorsquare.com today.